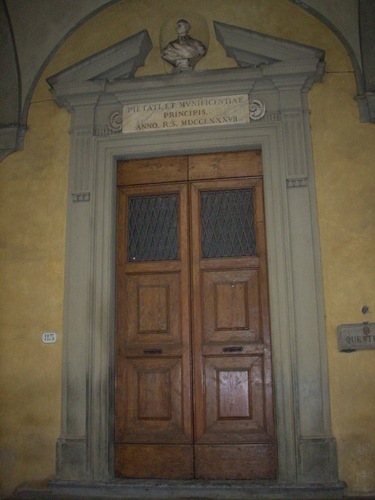 The former Ospedale di Bonifacio is located in Florence (via San Gallo, 83). 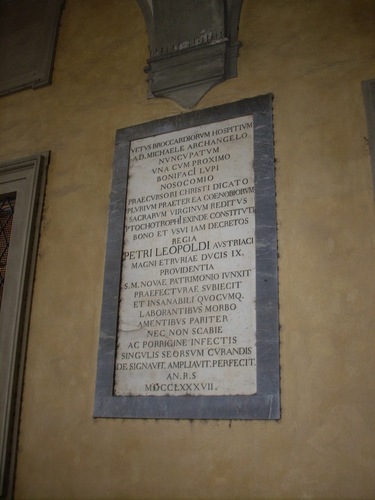 "Dedicated to St John the Baptist, the hospital was founded in 1377 by Bonifacio Lupi, mayor of Florence and captain of the People in 1369. 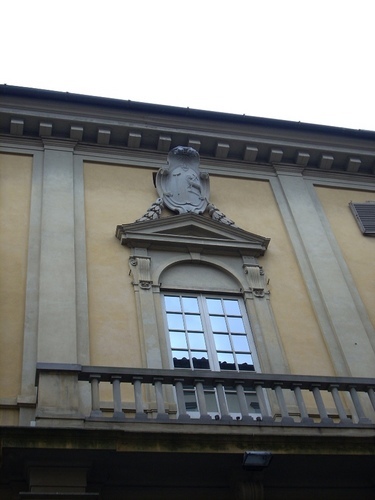 In the 16th century the Ospedale degli Incurabili was built on to it, for sufferers of the 'French disease'. In the former men's refectory, facing onto Via San Gallo, Fabrizio Boschi frescoed a 'Last Supper' in 1619 for the prior Leonardo Conti, with portraits of the patron and his nephew. 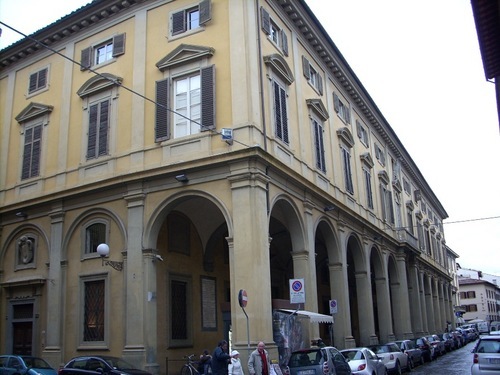 The Grand Duke Pietro Leopoldo turned it into a hospital for the insane (who were tended by the great doctor Vincenzo Chiarugi, and had it rebuilt in 1787 by Giuseppe Salvetti, who added the portico. Today it is the Questura or Police Headquarters"1. 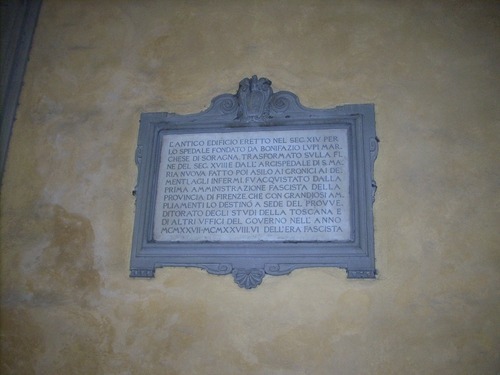 On the facade of the old hospital, there are some memorial tablets among which the one remembering the activity of Vincenzo Chiarugi. 1. From the official explanatory plate on the facade of the hospital (december 2008).